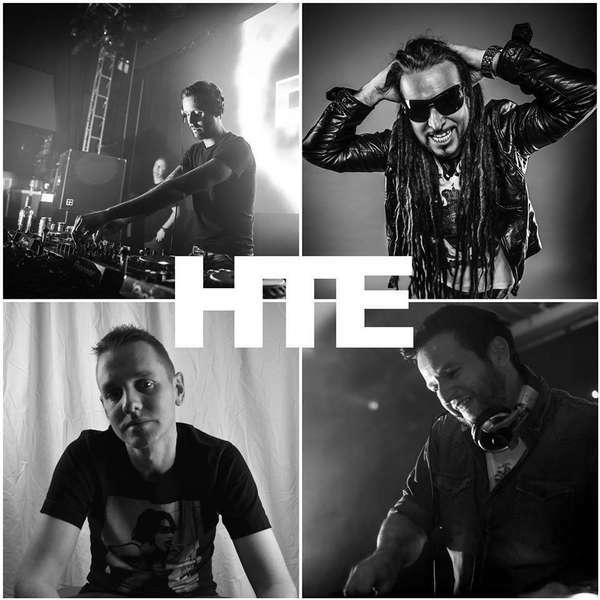 HF / Features - Nick the Kid looks forward to three great promotions - Escape From Samsara, I Love Hard Beats, and Hard Trance Europe - and their collaboration on one great event - Elevated State! Nick the Kid looks forward to three great promotions - Escape From Samsara, I Love Hard Beats, and Hard Trance Europe - and their collaboration on one great event - Elevated State! On April 28th Escape From Samsara, I Love Hard Beats, and Hard Trance Europe are joining forces to put on one of the biggest underground line-ups seen in London for a very long time. We caught up with Nick The Kid, the promoter behind HTE, for a chat before the big event - Elevated State. Nick, you’ve been in the promoting game for a long time now. Give us a quick rundown of when it all started, why you got involved, and how you’ve ended up here. 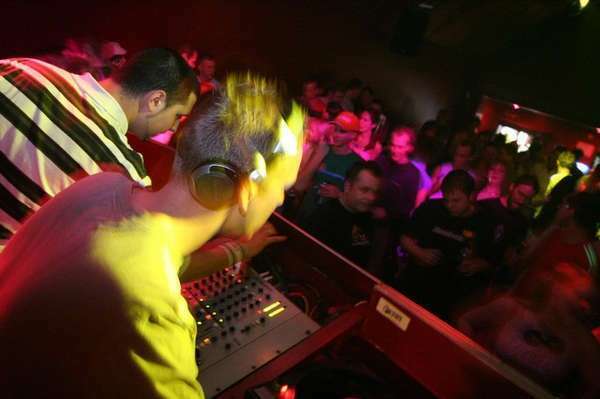 Hard Trance Europe is a new party that you are launching. Why now, what's the ethos, and what can we expect? I've always been very involved and passionate about the more energetic and underground side of the trance music spectrum. Seeing DJs in the mid to late 90s like Carl Cox, Billy Nasty, Blu Peter, Tony De Vit, Man With No Name, Mark EG & M-Zone inspired me to start Hindsight but as the years progressed the music ended up in a place where I could no longer really relate. Hardstyle arrived and for a while I got swept along with it; when you have an event you have put your heart and soul into for over 10 years, you not only have to listen to what your regulars want but sometimes you just can't always control the musical direction. I slowly wound down the events and moved on to running very successful Hindsight group holidays from the SW to Ibiza (alongside Ibizan Heat / Radical Escapes) which then led onto DJing at most of the Island's biggest nights and eventually living and working in Ibiza for Judgement Fridays, Captured Festival, Sunk, Driftwood and Connect. I am now settled back in London full time and running Trackitdown.net which gives me a great overview of what is going on each week across all styles of dance music. I've loved watching certain trance DJs embracing the harder trance sounds once again, artists like Sneijder, Indecent Noise, Askew, Patterson, Peter Plaznik, HP Source, Ben Nicky, Will Atkinson all still hit the spot for me with their productions and sets. Aside from this there is a real sense of community brewing from the classic European guys and it's great that the likes of Scot Project, S.H.O.K.K. Space Raven, Andrea Montorsi, Luca Antolini, Wavetraxx and others are all giving us powerful hard trance on a more regular basis again! I guess with HTE I want to create a platform that bridges the gap and fuses this end of the trance spectrum without being restricted by too many rules. Just quality productions that could be classed as harder trance music! I was absolutely gobsmacked when Black Hole liked the idea so much they agreed to become the exclusive distributor for the project and I can't wait to unleash the first few releases next month! The launch party is of course at Elevated State, Fire, London on the 28th April and I'm looking forward to showcasing all the new material in our very own arena. Also watch this space for some HTE tour nights in the UK this year ;-) It's all really exciting at the minute and coming together nicely! There’s some absolutely slamming names in the HTE room at Elevated State. In fact, it’s probably the most varied I’ve seen in a long time. Give us a quick overview of the artists playing - what can the crowd expect? How did you meet the guys behind ILHB and Escape From Samsara? Had you been to their parties before? It's all a bit of a blur to be honest haha. I believe I met most of the guys when we used to all appear or get down and dirty at Freeformation - man they were such good parties to be involved in, proper fun raves!. We recently all caught up again and as we share a lot of common ground, I think it was only natural that we would begin working together in some capacity. We recently did an all dayer at Cyberdog in Camden and this is where I met Tim from Samsara for the first time. Lovely guy with some fascinating stories from the London heyday and I guess this event is where we all decided to collaborate on a big London party - one that fuses all our interests and experience. It's been great fun already and we haven't even opened the doors yet! The last time Escape From Samsara & ILHB joined forces it was pure carnage! As well as promoting, DJing, and working at Track it Down you are also producing your own tracks. What have you been working on, who have you been collaborating with recently, and how would you describe your sound? I've been working with lots of people recently including S.H.O.K.K, Space Raven, HP Source, Ali Wilson, Nicola Maddaloni, Jake Nicholls, RDK, Costa Pantazis, Rowetta (Happy Mondays) and lots more! As Nick The Kid I've always strived to create feel-good trance melodics over a harder bed of sounds, I'm a huge fan of acid lines and take huge inspiration from the classic European sounds that I have followed over the years. I'm also a massive fan of lots of music though and do house stuff as Nick Coles (You can check out my show on Ibiza Sonica Radio every Monday) and I've also started working alongside Bill Borez as Zero B. It's busy times and I grab as much time in the studio as I can! I just wish there was more of it. 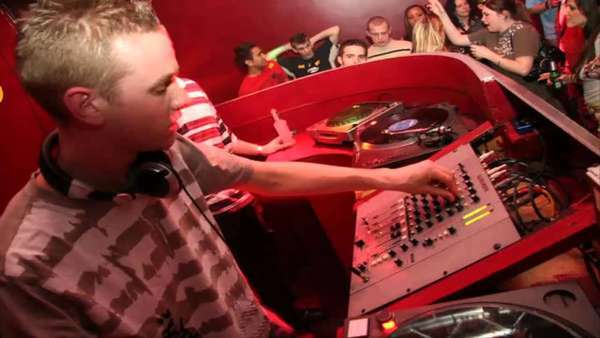 You’ve played at some ace clubs and parties including the Gallery @ Ministry, Amnesia and Space. Which has been your favourite to experience as a DJ? Which has been your favourite to experience as a clubber? Sausage Otter: Yes? Or not Yes? There are some amazing DJs and producers playing across all three rooms at Elevated State, covering everything from 120 bpm - 175 bpm dependent on the room. Who are you really looking forward to seeing and why? Well, I've banged on enough about trance, I am seriously looking forward to seeing Phutek and Chicago Loop the most, I'm a huge fan of their productions! Also Nu Energy Collective D&B PA and also the Samsara oldskool legends Beamish and Mark Sinclair if time and logistics permit! We asked 100 people “what would you ask 100 people?”. What was the answer? Have you ever asked a thousand people what to ask a hundred people? You were a regular at the Freeformation parties and I Love Hard Beats has been keeping that party ethos alive. As you can imagine, we’ve seen a lot of weird and wonderful things happen inside our parties but what’s the strangest thing you have seen at a rave or club? My mum and dad!!! LOL. 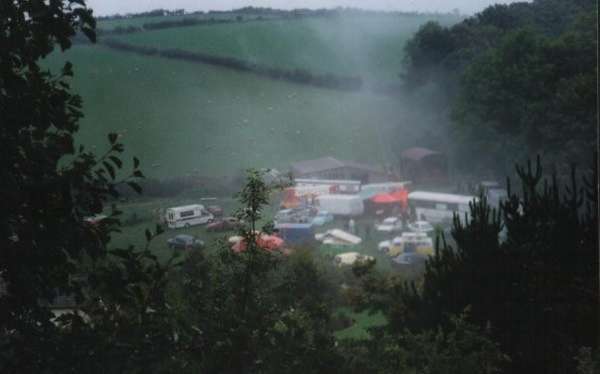 I decided to have a free party in their field when I lived at home around 2000, the Exodus party crew found out about it and turned up en-masse! It got a bit out of control, almost Project X kinda thing lol, I will never forget seeing the sun come up and my dad mingling with all the ravers in his Wellington boots and barber jacket! Thankfully they didn't throw me out and laugh about it now. See picture below ha! Which producers are you feeling recently? What’s been your stand out track this year? On the trance / hard tip - John Askew, Scot Project, Sneijder, Will Atkinson, HP Source, S.H.O.K.K, Space Raven, Renegade System, Wavetraxx, Sneijder, Indecent Noise. Others - Viktor Ruiz, Spektre, Spartaque, Chicago Loop, Montel, Paride Saraceni, SEFF, Chus & Ceballos, Grum, Eelke Kleijn, Hot Since 82, Alan Fitzpatrick - there is just so many! If it's good music it's good music. A track that blew me away recently was the Viktor Ruiz remix of Moby - Go and I'm still thrashing Scot Project's - W5 from last year too! Thanks for the interview, I stumbled across an old interview while compiling this feature that is over 10 years old now! Can I just say, a big hats off to everyone involved at Harderfaster for being on the case for this many years! Catch Nick at Elevated State on the 28th April at Fire @ Lightbox. Images courtesy of Nick The Kid. Not to be reproduced without permission. Ticket Info: £5 Super Early Bird - SOLD OUT! £10 Early Bird - SOLD OUT! More: Elevated State is a brand new rave concept in London which will be showcasing the finest underground dance music across three rooms. Together we will be uniting the tougher end of the trance music spectrum. Escape from Samsara, I Love Hard Beats & Hard Trance Europe will be taking you to an elevated state. Producing a valid form of photographic identification and submitting that for scanning on Club Scan is a condition on entry to the premises, regardless of age. Music: Hard Trance. Hard House. Dark Drum and Bass.